Crystal Pokémon Coral Version - DEMO 2 OUT NOW! 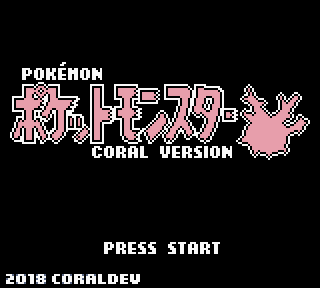 This week we feature Pokémon Coral, a Crystal ROM Hack set in the region of Onwa! November 5th, 2017 (10:53 AM). Edited August 20th, 2018 by coraldev. 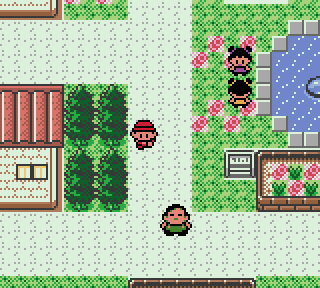 Welcome to the Onwa Region, a region far away from Kanto and Johto. 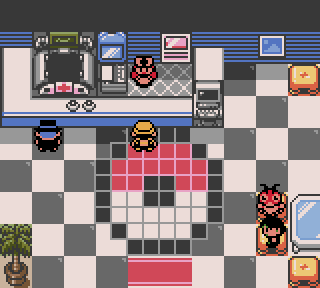 Onwa is the setting for Pok�mon Coral Version, a romhack that sets out to recreate the feeling of playing Pok�mon Gold, Silver, and Crystal for the first time. 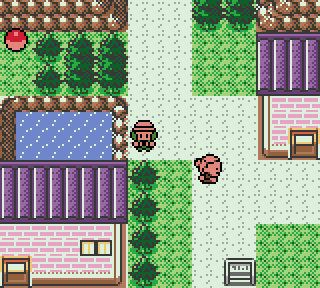 Journey through Onwa meeting interesting characters, earning the 8 Onwa League Badges, and working your way towards challenging the Onwa Pok�mon League. Entirely new region to explore with its own story to experience. Pok�mon from all seven generations available to catch. 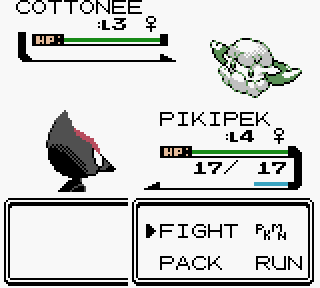 Choose from any of the six starters from the first two generations of Pok�mon. Entirely new soundtrack featuring songs composed specifically for the game. 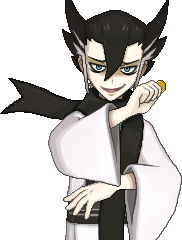 Moves from newer generations of Pok�mon. Re-balanced movepools that are more inline with current generations. Running shoes with unique running animation. Change the color of the player sprite at anytime by visiting the wardrobe in your room. Pok�mon no longer need to know HM moves to use them on the overworld. If you've obtained the HM, have the necessary badge, and the Pok�mon CAN learn it, they can use it! Special Thanks to /heg/ on /vp/. If you see something created by you and you are uncredited, let me know and I'll add you to the list. If I have used something of yours that you wish to have removed from the game, let me know and I will. November 6th, 2017 (2:02 AM). November 6th, 2017 (7:52 AM). 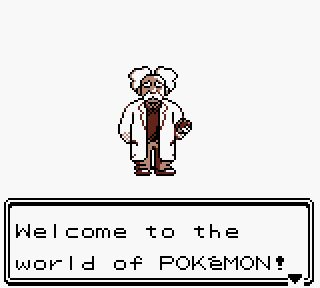 in your hack will there be the hoenn starter ??? November 6th, 2017 (9:27 AM). Nice to see you finally have a thread here. Good luck! November 6th, 2017 (12:31 PM). November 6th, 2017 (12:41 PM). Edited November 8th, 2017 by Petuuuhhh. November 6th, 2017 (2:37 PM). Thanks for the positive feedback, everyone. No. The Hoenn starters are not planned to be included. Just the Kanto and Johto starters. I'm reworking movepools to be as close as they can be to current generations as I can. There are obviously going to be some moves that I can't include due to space limitations for the amount of moves available, but things like Sludge Bomb on Venusaur are definitely going to be included. I guess I should add that to the features list. November 6th, 2017 (2:51 PM). Edited November 6th, 2017 by Rangi. Nice, a permanent place for Coral updates! I'll be keeping an eye on this thread. Any idea what part of your post is stretching the page out so wide? Maybe the Soundcloud embed? Edit: it's those long strings of "_"s. Please shorten them? November 6th, 2017 (2:55 PM). Any idea what part of your post is stretching the page out so wide? Maybe the Soundcloud embed? Looks fine over here. Are you on mobile? It might be the underscores I'm using as breaking lines. I just eyeballed it and they look fine on my end. I'll try removing them. November 6th, 2017 (8:13 PM). good to hear about move listings. I can understand the issue to space however, goes without saying. many fangames remove some moves entirely to account for the issue you mentioned which may be what you might end up having to do by the look of things. But for some other pokemon one can easilly replace one mve for another without using up data space. Parasect losing Giga Drain for Razor Leaf could be doable for example, since Leech Life got a huge buff in sun and moon as it is. Then again parasect is a mushroom zombie insect so I razor leaf makes no sense for it...as such in some cases you might need to devise a whole new move for some pokemon to use. November 7th, 2017 (9:04 AM). Oooh, super cool! Can't wait to play this, it already looks awesome from what little I've seen. November 9th, 2017 (4:14 AM). 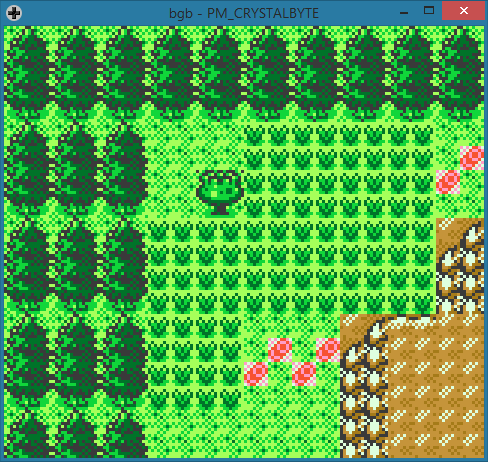 Looks fantastic, will probably be the first gen ii rom hack I actually play. Good luck! November 9th, 2017 (8:16 AM). November 10th, 2017 (7:30 AM). November 11th, 2017 (4:38 AM). November 13th, 2017 (3:18 PM). Edited November 13th, 2017 by looneyman1. Three set of starters would be cool one way or another, even if one set isnt obtainable at the start and is a gift/wild encounter/trade. A trio I always try to strive for is Venusaur, Feraligatr/Empoleon/Greninja, and Blaziken/Infernape/Delphox. The reason I specifically like venusaur is that it was my first pick in the original red, and holds the best memories in the pokemon series for me. Though if I could get a Rowlet I'd go for a different combo entirely since in my copy of Sun I got super lucky to get a shiny, jolly rowlet with very good IVs in attack and speed thus I had an amazing game to play at the time. November 13th, 2017 (6:29 PM). Please finish this hack, it looks like it would be fun. I have close ties with a store that specializes in making rom hacks into cartridges, would you be ok if they did that when you had the complete version. November 14th, 2017 (10:34 AM). November 14th, 2017 (12:55 PM). Last time I tried to reply to this thread, it said my post had to be approved by a moderator, and that was a while ago, so I'm trying this again. The only starters that will be available are the first 2 generations'. 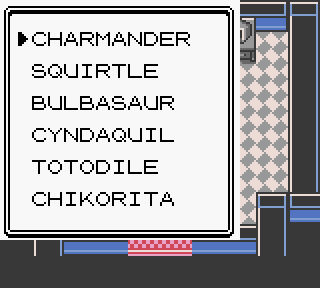 So, Bulbasaur, Charmander, Squirtle, Chikorita, Cyndaquil, and Totodile. I only have the original 251 slots available for Pokemon + a few, so I can't waste 9 slots on another generation's starters. Sorry. This would be cool, but I'm nowhere near close to completing the game. If the offer still stands as I get closer to development, then I'll see. November 30th, 2017 (8:55 AM). 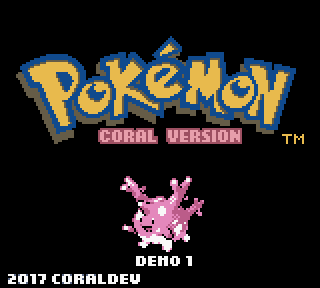 I'm releasing the first demo of Pokémon Coral Version tomorrow. 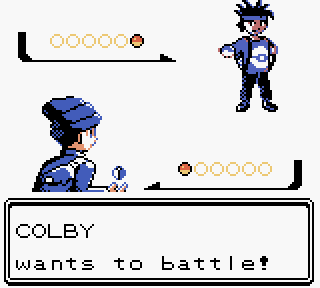 In the demo, you'll be able to play a little past the first Gym Badge. Check back tomorrow for a download link! November 30th, 2017 (10:47 AM). Congrats on the demo, looking forward to playing it! December 1st, 2017 (11:44 AM). Demo 1 is out! Download in the OP. Let me know if you have any problems or see any bugs. December 1st, 2017 (1:08 PM). Edited December 1st, 2017 by Rangi. Excellent, I've been looking forward to this! • BGB complains that the ROM checksum fails, but it plays correctly. 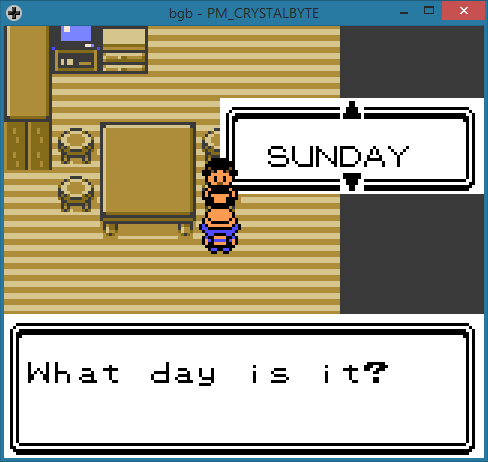 I patched the same Crystal 1.0 (UE) ROM that pokecrystal builds by default. • The intro music and Sunset Bay music fit right in with the standard tracks. Kind of surprised there wasn't a custom title theme too. • Changing your clothing color works perfectly! 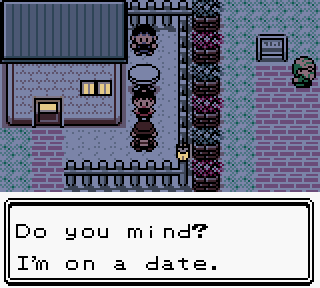 (The overworld part, at least; the trainer card doesn't update yet, nor does the Town Map icon.) I like how you fit in eight colors, with darker nighttime hues, and the change SFX are appropriate. • I mixed up Cap'n Stern and his brother Abner; Mom said that Capn' Stern was looking for us, but then his brother is the one giving out Pokémon, and they're both doing so in lieu of Prof. Spruce from the intro. What about if their dialog started with "ABNER:" or "STERN:"? • Cool physical/special split icons! • I hope the lighthouse will be more explorable later. • Thank you for making Berry trees tile-based since there's no PAL_OW_TREE. 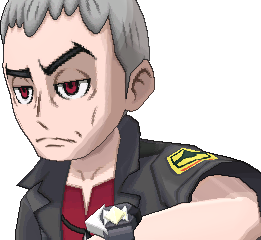 • The guard complains I don't have a Pokégear and won't let me onto Route 1, but I always had one, along with a Map Card. • Can you move the day-of-week box to the very top-right corner? • Tucking Berry trees into the very corners makes them less noticable; maybe relocate them a bit? • Glint City is beautifully designed. 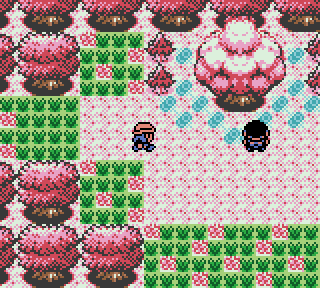 Not even by devamping later-gen tiles, just by using what already works in Gen 2. • The NPCs are creatively done. 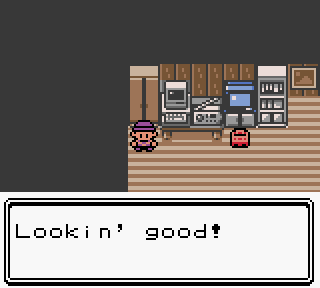 It's neat how many of them have overworld Pokémon, and the dialog isn't just filler or copied from other games. • All the Gym bookshelves have "Pokémon magazines". Seems like a good opportunity for custom book titles. • Level 16 Dragon Rage makes battles too easy. • Right after Gym 1 is unusually early to get Surf. I like it! Although it's usually used to block off early areas so backtracking will feel more rewarding. Will Waterfall play that role here? December 1st, 2017 (1:36 PM). Edited December 1st, 2017 by coraldev. Wow! Thanks for so much feedback! 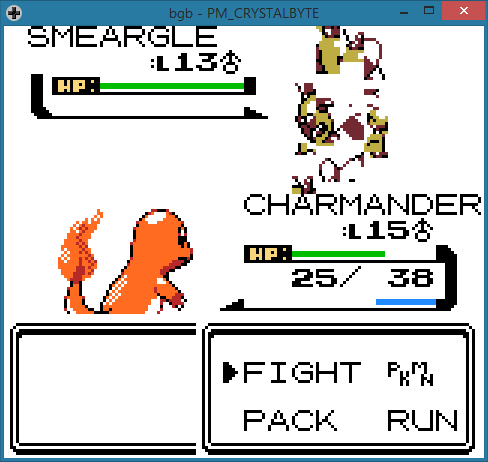 •I think the incorrect checksum and the corrupted Smeargle sprite are caused by the same problem. 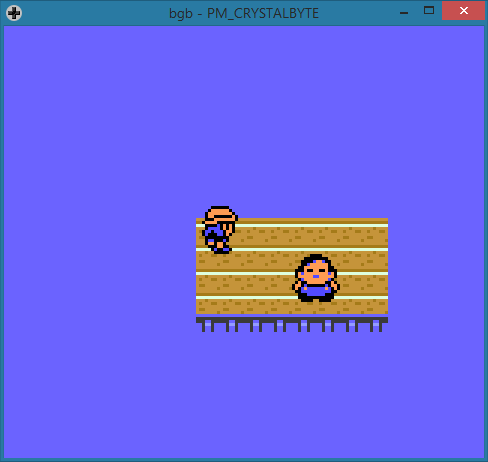 I think I accidentally made the patch on a rom that wasn't completely clean. Oops. •There is eventually going to be a custom title theme. I just kinda wanted to get this demo out and a few songs didn't make it in time. This is also why Glint Grove uses music from the default game. •You weren't supposed to have the Gear or Map yet. I gave them to the player when they investigated the SNES for testing purposes, but forgot to remove that. No one caught that in play testing. •I'll see about more clearly conveying things like Abner/Stern and Stanley. •I've heard the complaint about the berry trees twice now. I guess I'll change that. •I'll move Dragon Rage to a more appropriate level. •Waterfall isn't planned to be an HM in Coral. You only get Surf this early on in the demo so that you can explore everything there is to see. You'll definitely get it much later in the full game. I'll get this stuff fixed and have a better patch out later today. EDIT: It's up. Most of the problems should be fixed. December 1st, 2017 (2:44 PM). Edited December 1st, 2017 by Rangi. Hm, BGB still gives the checksum error. • The outdoor planks should be 2px higher to align with the tile grid. • tilesets/animation.asm:TileAnimationPalette cycles the water palette, which makes it sometimes look flat. Replace it with the no-op WaitTileAnimation? • Rustling grass might look better with just green, no black; or maybe that's too subtle. • If you haven't already searched through the code for comments like "buggy", "fix", "redundant", "unused", "stupid", "pointless", etc, then do so; many of the glitches have known one-line fixes.